A visit to the RH&DR, my first for over Forty years! !.H&K waterworks railway, & slug 1 at the Mid Hants. 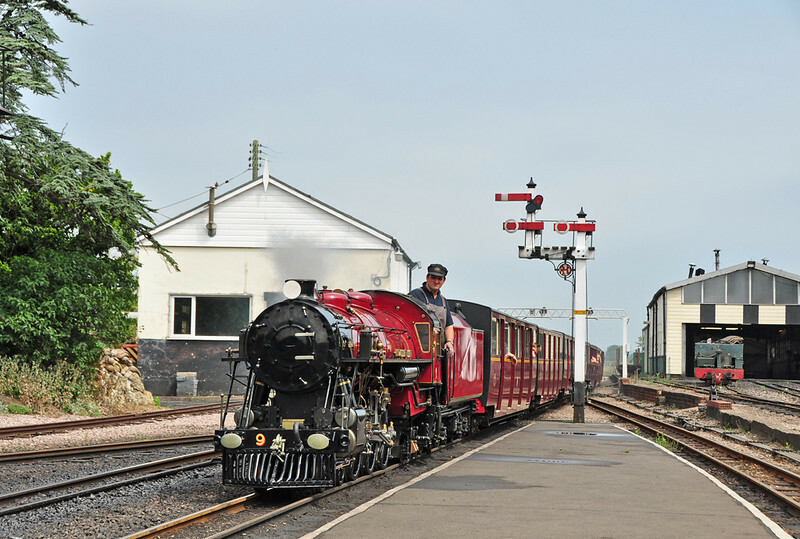 #9 Winston Churchill is seen arriving at New Romney with the 11:50 service from Hythe 02 August. It has been over forty years since I last visited the RH&DR as a child. Had a good day, very pleasant staff & volunteers. The only down side was the good old English weather! !.